Looking for a Home Appraisal in Bellaire, TX? As one of the leading providers of residential and commercial appraiser services in the Bellaire market area, our certified appraisers can help you with valuations for both private and lending use. Our philosophy is to deliver a fast, reliable and comprehensive appraisal service that meets our clients expectations exactly. 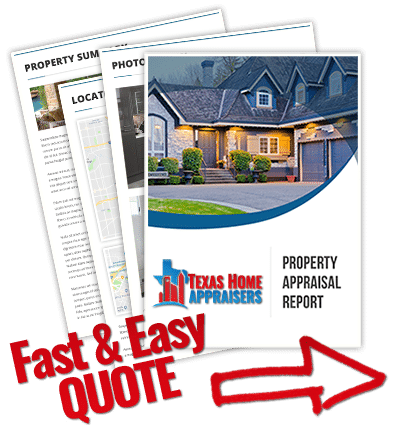 Not only do we deliver our reports faster than most other appraisal firms, we offer some of the lowest costs for appraisal services in the area. All of our appraisers are Houston area locals and have over a decade of experience in the market area. We staff appraisers capable of handling any assignment from residential, commercial or mixed-use. For commercial assignments we only employ Texas Certified General appraisers with at least 10 years of experience in the Houston market. Whether you need a property value report for lending, private use or a legal matter, our appraisal services can accommodate most real estate valuation requirements. We are dedicated to providing competent, courteous and prompt services to all our clients be it homeowners or industry professionals. If you have any questions or you’re ready to place an order, simply call the number on this site or complete the appraisal request form found above. Getting in touch is simple! Simply fill out the online quote request form or dial our direct line and one of our residential real estate appraisers in Houston Texas will be standing by to talk about your project. What defines a comparable sale for an appraisal? A comp can be a sale, pending sale or a listing that is similar to the subject based on typical parameters of size, age, condition and location. The selection of comparable sales is in most residential appraisals, the single most important determining factor in establishing value. For this reason it is important that the appraiser adequately research the market area and consider any comparables which may assist in determining value. What are the technical details of an appraisal? An appraisal is a scientific approach to determining a likely value for a property. The appraiser will go through many steps to reach a final opinion of value. Common to most all appraisals is the determination of applicable approaches to value which include Market Data, Cost and Income. The appraiser’s final opinion of value is determined by reconciling the approaches used in the report and placing emphasis on the most relevant approach. The market data approach to value is usually the most relevant when determining value of residential properties. Do appraisers perform a roof inspection? The appraiser asked for a copy of the sales contract. Isn’t that a conflict? There are often sales details in the contract that the appraiser must review to determine if they impact the appraisal value. Of the most concern are the terms of the contract and whether or not they are typical for the market, The sales contract has information such as the interest rate, the down payment amount, seller contributions or other personal property items that might be included in the sale. Other details that are reviewed are for confirmation such as ensuring the buyers and sellers are listed correctly on the contract.